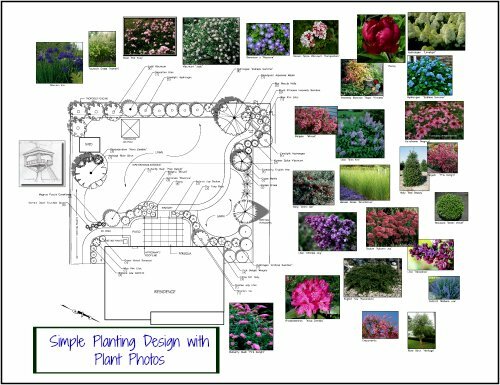 A rain garden design has a main function. That is to be a collection area for water to drain to. This may be surface water or water from your house leaders. Rain gardens minimize runoff and add to the natural water reservesin the land. They also can save a homeowner a lot of money since the necessity for expensive drainage solutions, such as underground pipes, is eliminated. The area is planted with plants that are wet site tolerant,ie., plants that will do well in wet areas. The area can be large or small, but it must be prepared well. This is particularly important if your soil is clay, which does not absorb water well. Remove the clay and add a mixture of peat moss, topsoil and sand to a depth of 18 inches. Using good soil will make a huge difference in the success of the garden. The rain garden can be graded by creating an even slope from the high point of your property to the rain garden area. Alternatively you can create a swale, or subtle drainage ditch in the lawn, to lead water to the garden. Your garden can be all perennials, or it can be a mixture of perennials, shrubs and trees. Here are a few perennials that will work well in a rain garden. Mass many of one kind together for a good looking design. For wet site tolerant shrubs, I like to use Inkberry Holly, which is evergreen, and also Red Twig Dogwood. The Red Twig will produced beautiful red stems in the winter time.